The trans-generational scope of the Return Generations has been imagined creatively among other entrants. 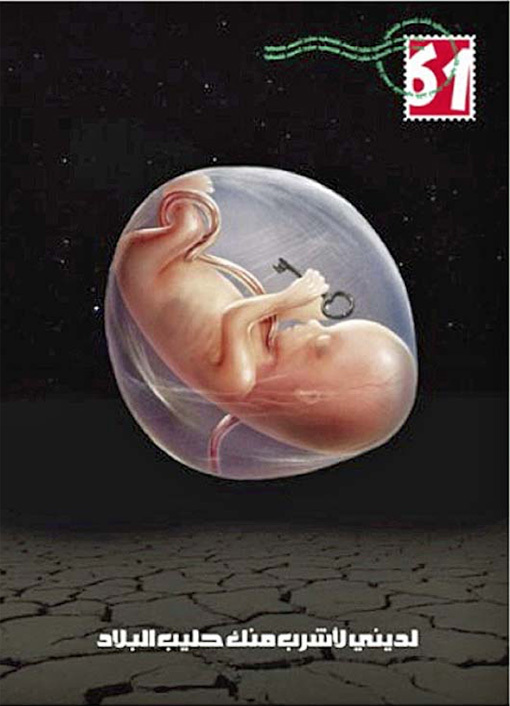 Joining Doraghmeh’s ‘key-plant’ as a more inventive interpretation is Kamel Roubi’s entry from 2009, which goes so far as to present a baby, still in its mother’s womb, holding the key. Creativity aside, each poster communicates a similar message. The key asserts belonging to the Return Generations, unrestricted by the passage of time.